SES Holiday Social and Auction Tickets now on Sale! Matthew Latterell November 24, 2013 Comments Off on SES Holiday Social and Auction Tickets now on Sale! 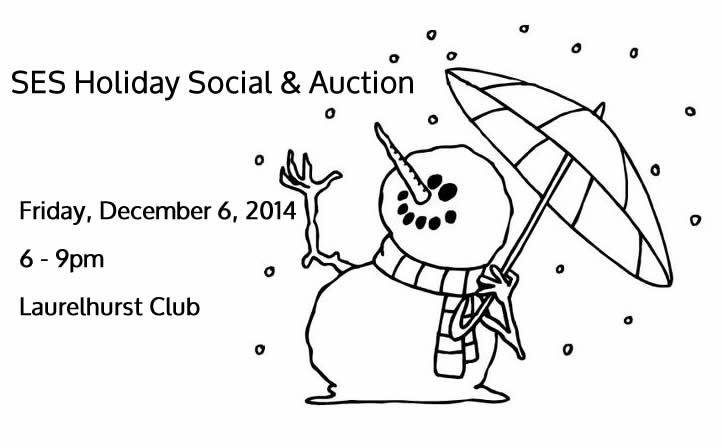 Tickets for the SES Holiday Social & Auction are now on sale! Buy your tickets now for our annual adult-only event! This year’s event is helping to raise funds for the SES PTSA, SES Foundation and the Jason Lee PTA. The party is from 6-9 at the Laurelhurst Club at 3721 SE Ankeny (just north of Laurelhurst Park). Tickets will be on sale in the main hallway at SES every day until December 6th or you can use the form below to buy tickets on line. See you Friday night!